Has anyone tried Tabletop Tyrant cases? Seems like very good value compared to the usual KR/Battlefoam. 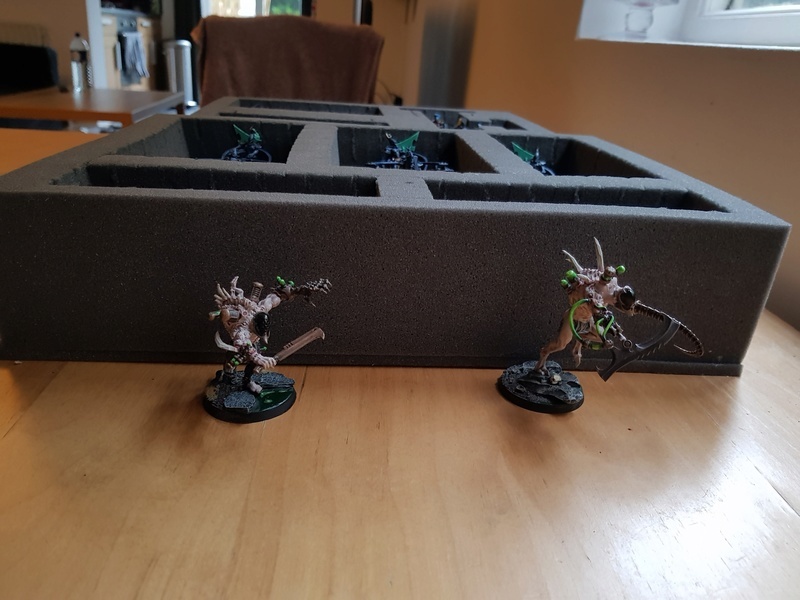 They don't have custom trays for specific models but my FLGS owner recommended these. Has anyone here used them, and if so which trays work best for our specific models? I danced with Fate, she said it could go either way. I've got some mates in my gaming group who use them. They're a smaller case than you think, might struggle to fit a raider in there tbh. I got Feldherr. Works like a charm. I also got Feldherr. It's not bad, but if you use raiders with crew hanging around left and right they tend to fall off now and then. But I don't think there is a way to prevent this at all if you are moving them around a lot. I own the L model from Tabletop Tyrant and I am very happy with the case. I can fit a 2000 pts army with vehicules very easily. Pick & plug 60: for Venoms. I think the 50 would work better as the Venom are flatter. The only con i would have is the foam is quite rigide. Half way between the GW current foam and the original GW red foam. The side pockets could be a bit wider but I fit dice, card and tape measurer with no issue. I can send a few pics later once home if you are interested. Are those with the Raiders and Venoms fully assembled? As in, on bases, with sails? 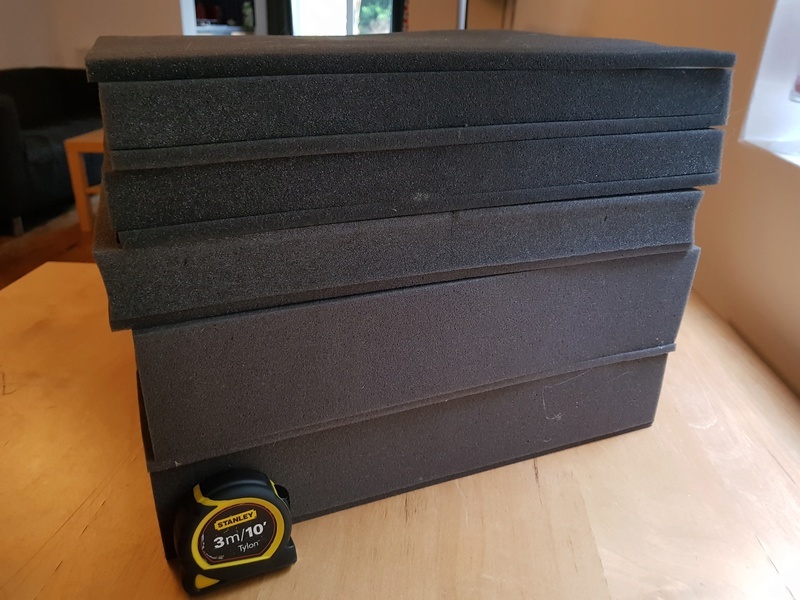 I've been considering getting a Tabletop Tyrant case but assumed I'd be needing much larger foam trays - more like the 100/150 sizes. I keep my sails and base separated from the raider. But yes, you could go for the bigger ones. Are you planning to get the XL model? @Lietkar Thanks for the info. Some pics would be great if it's not too much trouble. For the two trays you do mention, how many of those vehicles/flyers can you fit into one tray? I would be curious as well which size tray you went with for kabalite warriors, and any other units you have. I don't have crew other than gunners on any of my vehicles. Flight stands are not glued, and sails on raiders/ravagers are magnetised. I will most likely go for the XL as I have quite a large collection but so far have just been using small cardboard boxes and bubble wrap for transporting. With my first large tournament coming up (London GT) I finally felt it was time to take the plunge on proper transport for the army. That's incredibly helpful, thank you @Lietkar! I use Feldherr but that seems very similar in concept. The foam you can measure and fit yourself is a lifesaver. Far better than the old GW battle suitcase I used when I was a teen way when 00's. Back then I played Chaos so my life was not really inconvenienced when I only had Metal BAWKSES and troops to deal with. Imagining using that suitcase to move some of Raiders and Venoms that would be nightmare fuel enough to inspire even the Ancients of Dark Creed. Not sure if Tyrant has the same deal (although i cannot imagine why not) as I can get at my LGS where I can order in specific foam sizes by tray but that is another really convenient feature to have. Tabletop tyrant case is my first one. I've been using the GW till last year, along with boxes and bubble wrap. I can't compare to other brand. With TTT you can order many diff high which allow a lot of flexiblility. I was looking at some shape-cut foam specific to venom and raider but they were too big as they account for base and Kabalite hanging from the side. I bought 8 of the Pick plug ones and adapted them to all.my armies. 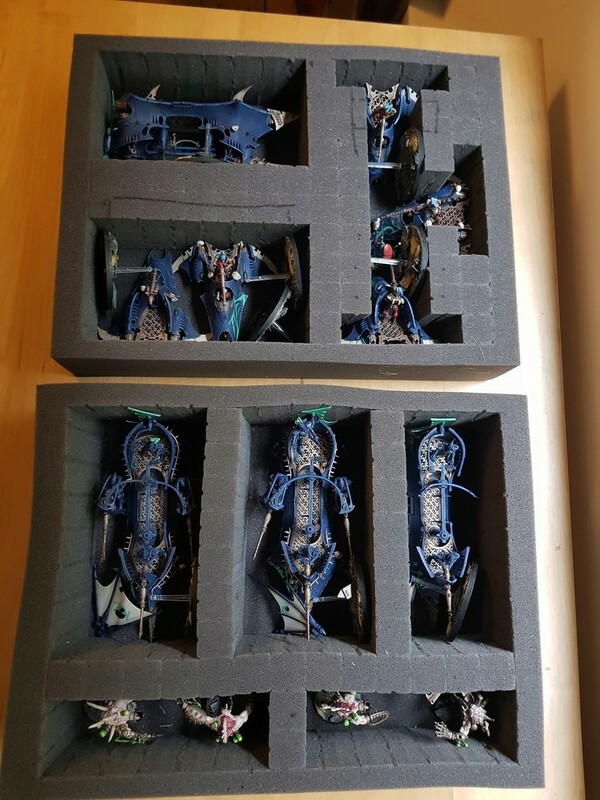 Now I can safely move or store Falcons chassis, Necrons arks next to standing Canoptek wraiths and all the Dark eldar vehicules. I can fit 2000 pts in on L case for 99% of my games. 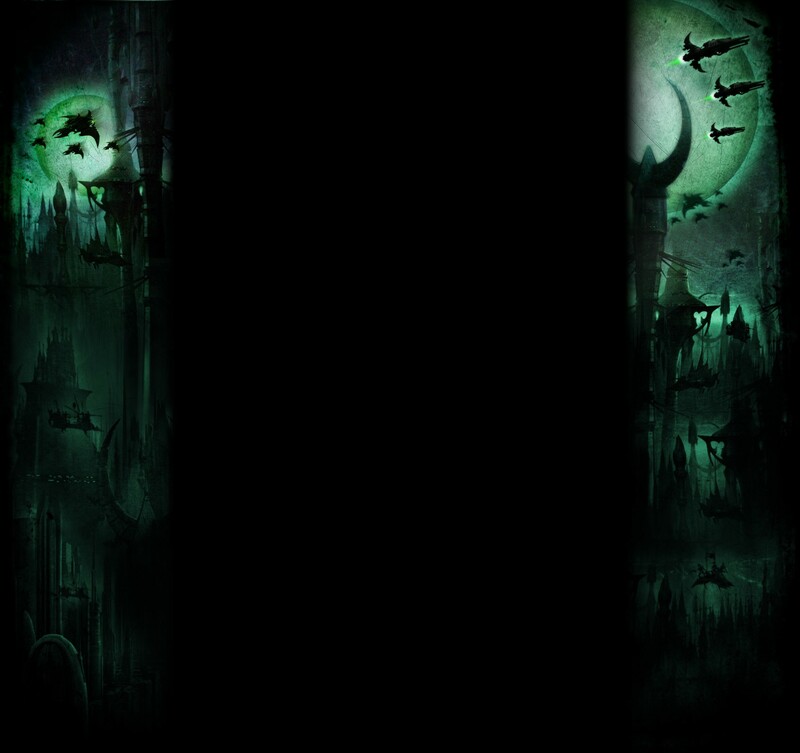 Subject: Re: Has anyone tried Tabletop Tyrant cases?